McKinley Springs is located in the southern section of the Horse Heaven Hills AVA. The winery is one of a number of Washington wineries with a multi-generational history of farming in the state. Louise and Bob Andrews moved to the Yakima Valley and began farming shortly after World War II. In 1980, they planted grapes. Since then they have provided fruit to numerous wineries throughout the state, including Andrew Rich, Northstar, Syncline, Hogue, and Columbia Crest. The Andrews’ son Rob now serves as grower for more than 2,000 acres of vineyards. 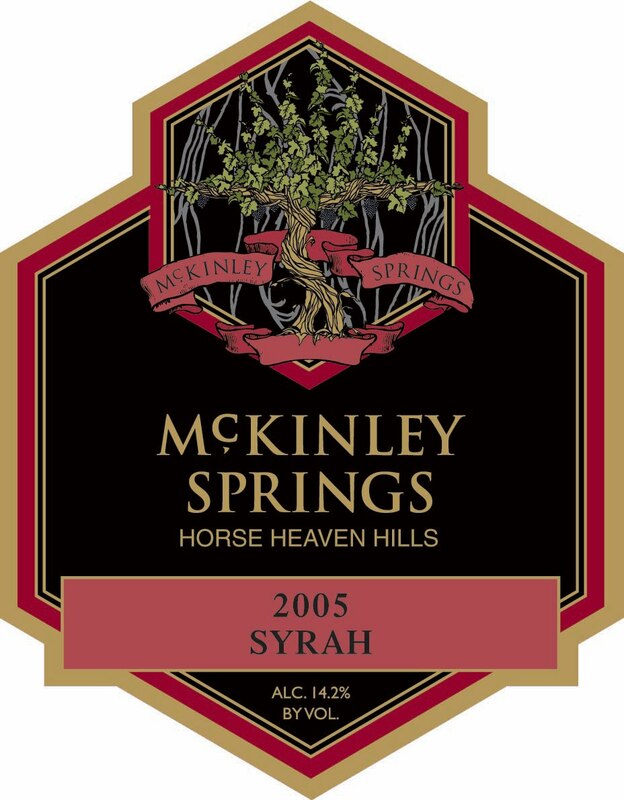 McKinley Springs Winery was established in 2002 to provide wines from estate fruit at value price points. Doug Rowell serves as winemaker. Wines of Substance was founded by Waters Winery winemaker Jamie Brown and Gramercy Cellars winemaker Greg Harrington. The winery focuses on providing quality varietal bottlings at pocketbook friendly prices. 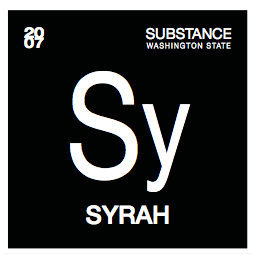 The labels are eye-catching black and white with Periodic Table-style letters representing the variety. The winery’s website shows the complete table which you can rotate and spin to your heart’s delight (or get yourself a t-shirt). Click on one of the symbols on the table and it flies at you and provides a description of the wine as well as a link to .pdf tasting notes with extra space to write notes. Substance was recently named one of the top ten 'Hot Small Brands' by Wine Business Monthly (They define 'small brands' as less than 150,000 cases. Yikes!). Randy Leitman started the Randall Harris label more than ten years ago. Leitman is a negociant with no bricks and mortar facility – or even website. 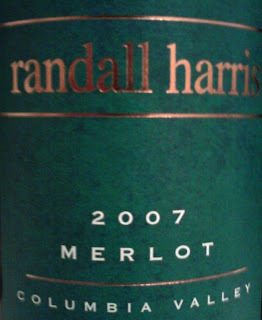 Randall Harris produces approximately 4,000 cases annually. 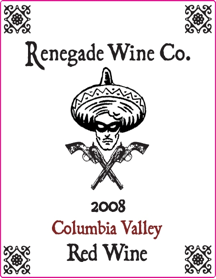 Renegade Wine Co.’s wines are made by Trey Bush at Sleight of Hand Cellars. The back of the label irreverently reads, “Glasses? We don’t need no stinkin’ glasses.” While this wine won't blow your doors off, it doesn't need to at this price point. It is a well put together pizza wine (Plates? We don't need no stinkin' plates!) that provides a lot of bang for the buck. See other Five Under Fifteen wines here. Oddly enough - I have never had any of these wines! Josh, despite my not rating any of these wines particularly high, I think all of them offer a good deal of wine for the money and are worth a look. Check 'em out! Thanks for the comment.